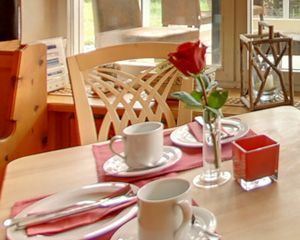 Privacy statement - Hotel Heigl Munich South, Bavaria, close to the city | Room booking online or via phone. We use the offers of the CA Customer Alliance GmbH, Ullsteinstr.118, 12109 Berlin ("Customer Alliance"), to query your consumer satisfaction, if you have used our services. To do so, we provide Customer Alliance with your contact information and contractual information (such as length of stay) with the task to query your satisfaction with our services (e.g., a review). The result is then provided to us by Customer Alliance and can be made publicly available. The legal basis for processing is Art. 6 Para. 1 sentence 1 lit. f DSGVO and our legitimate interest in improving our offer through your feedback. The content on our pages can be shared on other social networks like Facebook and Google+. This page uses simple html-links. This establishes direct contact between the networks and users only after users click on one of these buttons.